This will come in handy for the inevitable first wedding in Minecraft. Oh, you geeks. You had it all, and still you wanted more. We saw a sea change in culture, embracing our inner dorks with the likes of comic book movies and video games rising to a point of recognized artistry. Glasses were cool. People dropped D&D references unironically. All of a sudden it was cool to be a nerd, and looking like Ben Gibbard wasn’t so bad that you started writing songs like Ben Gibbard. But you just kept taking. Whole cable networks dedicated to geek pandering weren’t enough. Every summer blockbuster based on a comic book wasn’t enough. Doctor Who entering the zeitgeist wasn’t enough. 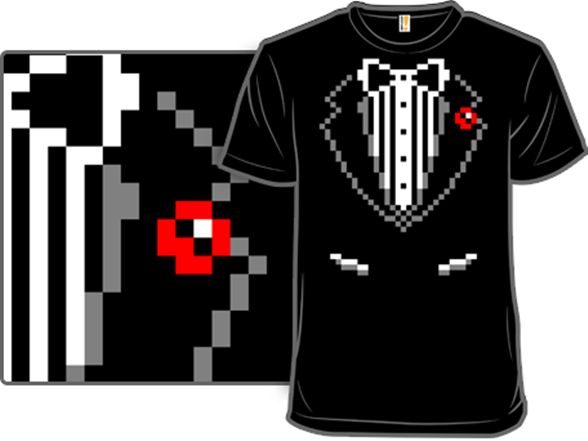 And so now we’ve arrived here, geek chic’s nadir: an 8-bit tuxedo shirt just in time for you to buy and wear to a New Year’s Eve party, which will probably be Minecraft-themed. You’ll wear it and make jokes about Skyrim or pick on Twilight for not having as strong a female character as Star Trek: Voyager. But don’t you see? 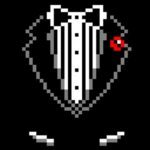 The tuxedo shirt was the death knell for “zany” ‘80s archetypes. It was the last grasp at humor by outmoded dinosaurs desperate for one more second of relevance. And it failed them. Wear this shirt: Until the very end when you take it off to reveal (gasp!) that you are, in fact, a woman. 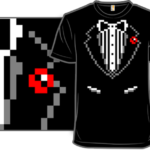 Don’t wear this shirt: To an event in the Mushroom Kingdom. 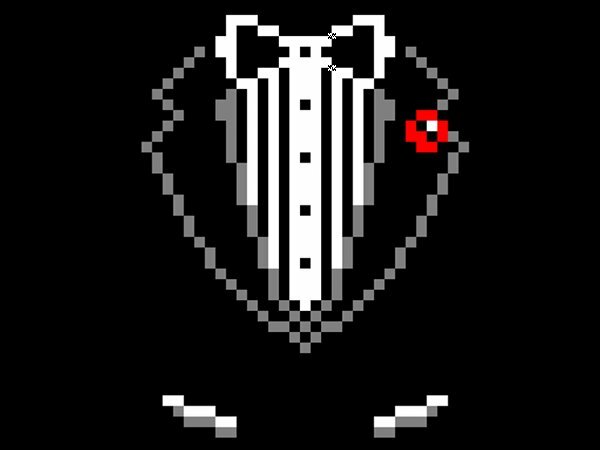 Their blocky, pixelated eyes will see through it. And it seems sort of insulting.